The onus will be once again on Virat Kohli to guide the team through another overseas Test series. The India skipper is all set to marshal his troops against Australia in the four-Test series as India eye their first Test-series win Down Under. India’s fate is more than likely to be decided by how Kohli fares against the hosts. And the way, he batted in the last T20I, the warm-up game and as well as in the nets on Tuesday, the 30-year old looks set to dazzle Australian crowd with his bat. Kohli scored a stunning match-winning fifty in the third T20I before compiling another impressive fifty against Cricket Australia XI in the tour game. And on Tuesday, the India star looked in his elements as he faced his teammates in the nets. Kuldeep Yadav was one bowler who faced Kohli’s wrath as the latter dispatched him for some big shots. Virat Kohli, meanwhile, enjoys a stellar track record in Australia. During the 2014-15 series, Kohli had scored 692 runs in 8 innings at an average of 86.5 including four hundreds and one fifty. He had begun the series with two centuries in the very first Test, scoring 115 and 141 to take India agonisingly close to a stunning win. That was only the second instance of an Indian scoring a hundred in each innings of a Test Down Under. 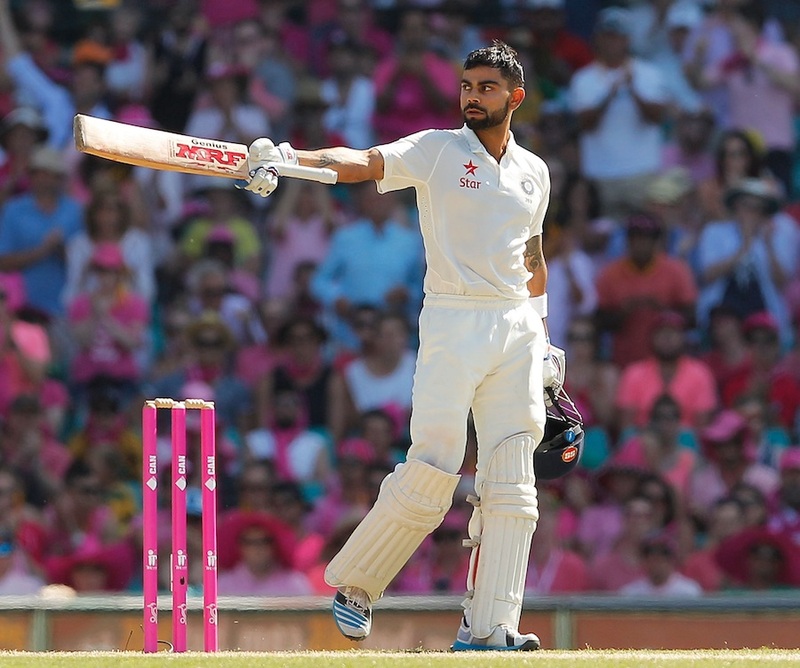 Kohli’s aggregate in the series was the highest for any Indian batsman in any series in Australia – beating the previous best by Rahul Dravid (619 in 8 innings in 2003-04). In fact, it was the fifth-highest run aggregate for any opposition batsman in a series in Australia. So far, the right-handed batsman has amassed 992 runs in 8 Tests in Australia. He has five hundreds and two fifties Down Under. His average of 62 in Australia is his best in any country outside India barring New Zealand.